An analysis of class relations, exploitation and imperialism in the popular British series. It’s that time of year when, for those futilely persisting with free-to-air TV rather than downloading a decent bittorrent client, Downton Abbey indulges us with another brief season of sappy Sunday viewing. My ensuing diatribe will no doubt betray prior knowledge of the series, so I’ll abandon any pretence of snobbery: I too have been drawn in by all that wholesome aristocratic nicety. But herein lies the problem. As we collectively pine for the mildly incestuous union of Mary and Matthew Crawley (a meeting of chromosomes no doubt primed to spawn some emaciated haemophiliac) or watch Mr Bates, the nauseatingly servile attendant, struggle to overcome the deceit of his colleagues and acquaintances, we are duped into romanticising fin de siècle British class antagonisms. 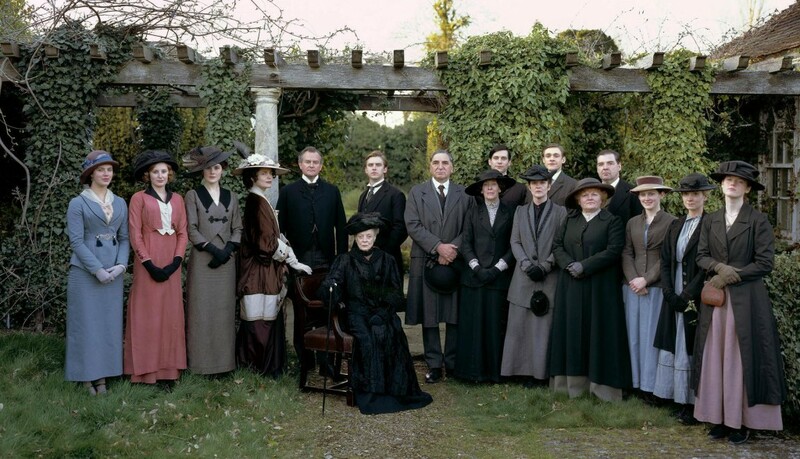 Don’t get me wrong, Downton does make explicit reference to early 20th century Britain’s rigid class distinctions between aristocracy, bourgeoisie and proletariat: where it errs is in bestowing decreasing allotments of moral worth to these classes (from top to bottom) and by generally championing the preservation of this hierarchy. In a nutshell, the loveable aristocratic core of the series – chiefly populated by soft, philanthropic souls and bumbling romantics – is under threat from a growing bourgeois contingent of unscrupulous capitalists or, if they are sympathetic to the aristocratic plight, morally upright businessmen. Beneath them both are the great unwashed, in equal parts characterised as outright villains or the grateful recipients of aristocratic charity. This crude equation of material wealth with moral worth only worsens when individual characters and plot arcs are considered. Take, for example, those working class characters that do receive a positive portrayal – Mr and Mrs Bates, Mr Carson and Mrs Hughes – whose one common trait is an unflinching fealty to their aristocratic overlords. While their kindness towards the lord and high lady of the house may rub off as affection, it’s also permeated with a tacit understanding of their position in society. Meanwhile, the cardinal sin of the estate’s perennial scoundrels, Miss O’Brian and Mr Barrow, appears to be little more than their own class consciousness. Aware of being exploited, the pair yearn for upward mobility, have little or no allegiance to their employers and harbour contempt for the blind loyalty of their peers. Most unfathomable of all is the gradual ‘rehabilitation’ of our Irish revolutionary, Tom Branson. A firebrand Irish nationalist and outspoken socialist, Tom is progressively won over by the sheer charm of the Crawleys, abandoning his egalitarian tenets bit by bit until – like a neutered dog bounding gleefully through a field – he eventually finds himself quite literally batting for the house in a game of cricket. Not only does this reduce a landmark ideological struggle to an endearing but fickle curiosity, it implies that centuries of Irish suffering at the hands of British imperialism can somehow be appeased by tea, summer sports, and a firm handshake. At best, Downton Abbey is a grotesque reimagining of class relations in an era of intense, socialised discrimination between the haves and have-nots. At worst, however, it is an opaque attempt at naturalising exploitation, regardless of context, by enshrining a sense of righteousness in one’s subservience towards the wealthy.